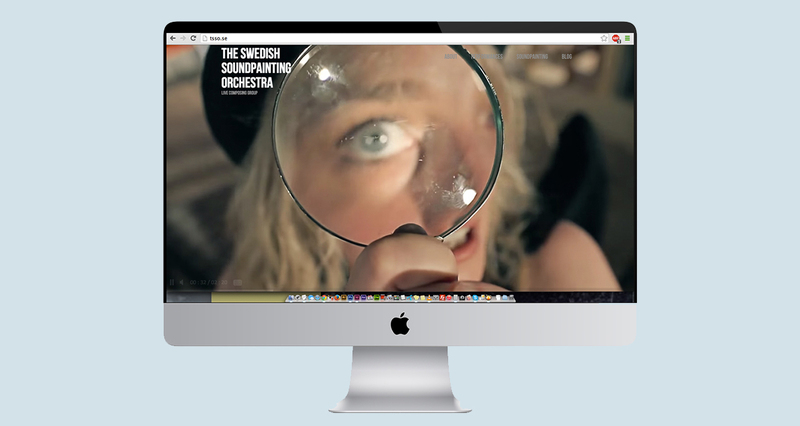 The performance group TSSO (The Swedish Soundpainting Orchestra) is a collective of artists, musicians, actors and dancers who create improvised shows of sound and movement using the Soundpainting language. 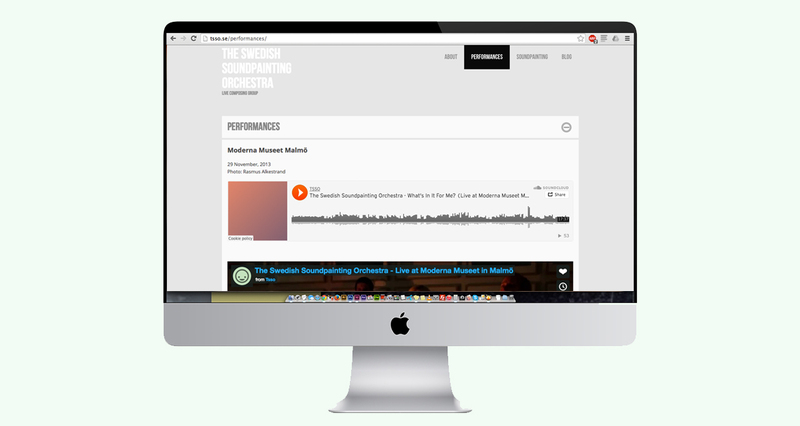 Soundpainting was invented in the 70’s by composer and musician Walter Thompson, who guests the group once in while. The group needed a website for their videos and for information on upcoming shows.